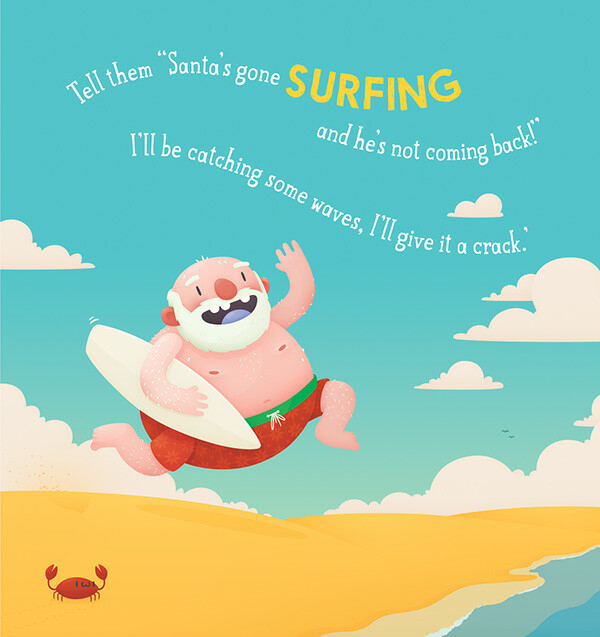 This children's book Santa's Gone Surfing, written by P. Crumble, is the very first I've ever had published as an illustrator. 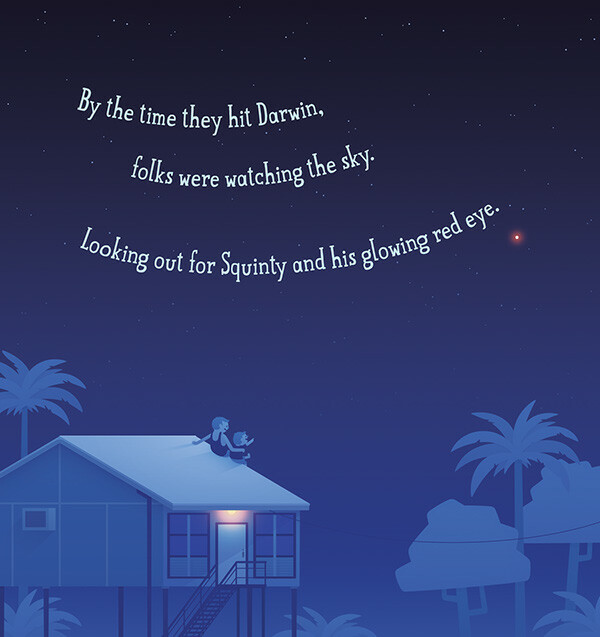 It was for Koala Books, an imprint of Scholastic and I'm super grateful to them for picking me up to work on it. It was a blast. 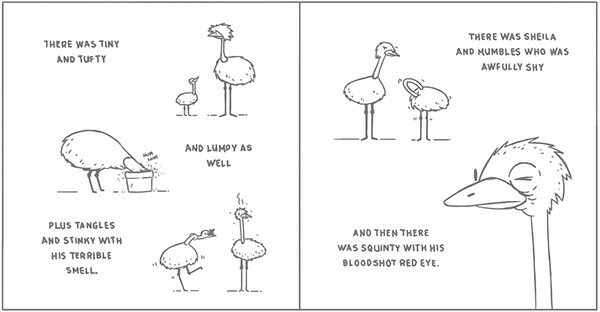 I got to draw silly emus. 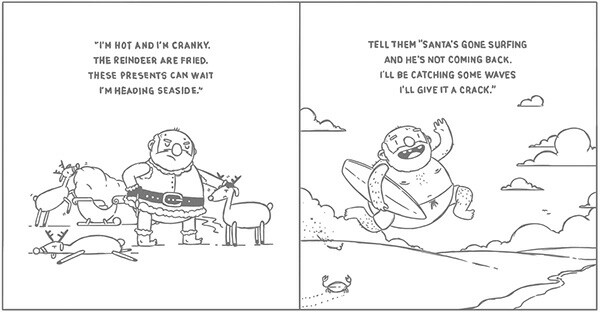 Basically, the story goes like so—on one Christmas Eve, as he does each year, Santa crosses the equator to the Southern Hemisphere. 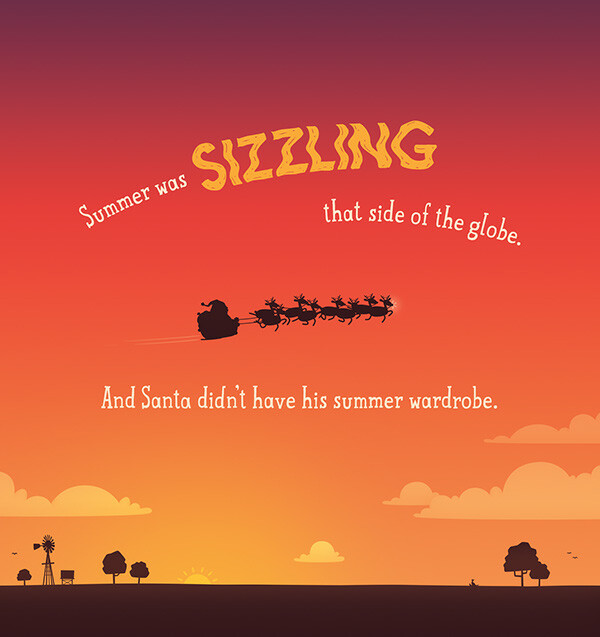 But this year, Santa decides it's too hot to deliver presents in Australia. 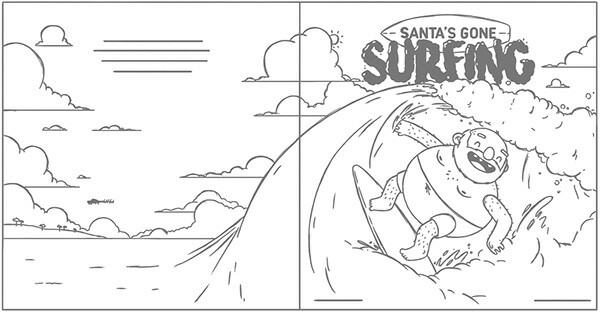 So he grabs a surfboard and heads out to catch some waves instead. 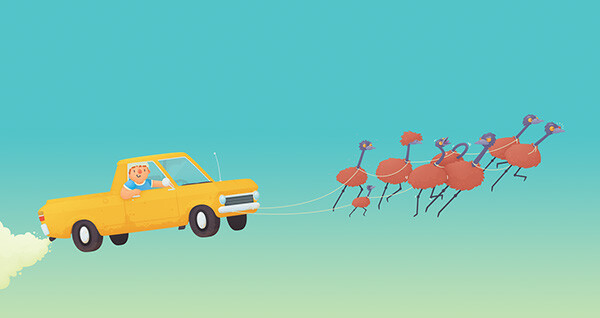 Can Trev, his trusty old ute and a flock of old emus save Christmas? Well, you're going to have to buy the book to find out. Don't be stingy. 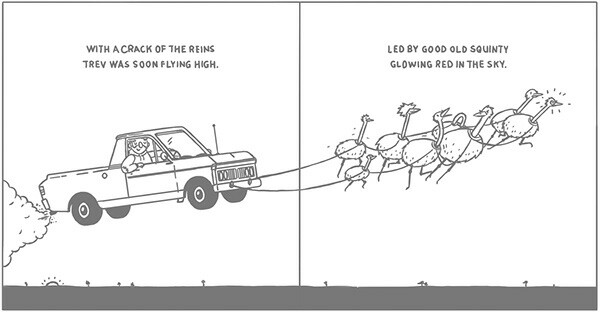 Santa went through a couple of variations. 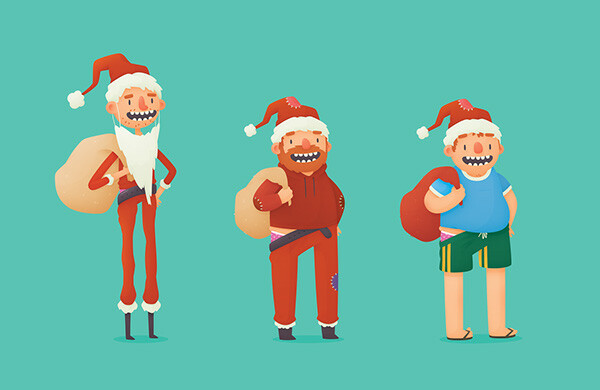 I initially drew him as a very traditional Santa—little bit chubby, nice cosy sweater, warm and kind. But they wanted something a little bit different. 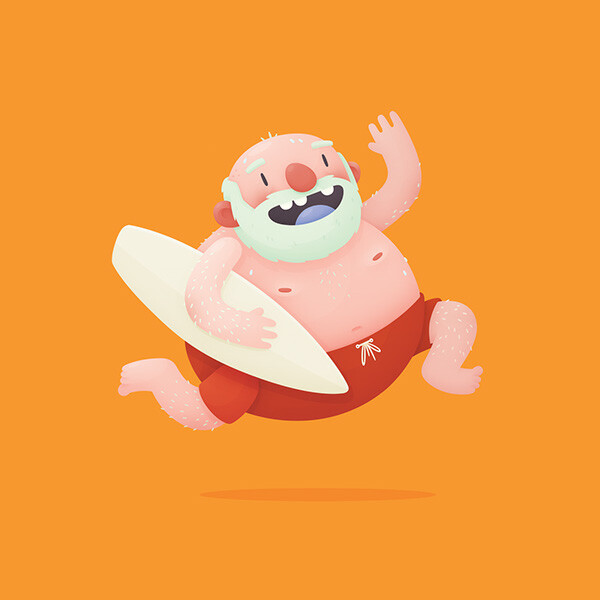 So I drew him as a big-fat-gross-sweaty-hairy-jolly-beach-ball. I'm also aware that he has two right feet in the below concept. I'm a goose. Thankfully though, I fixed that before it was published. The main character of Trev went through quite a few variations. I initially envisioned him as a Jack Skellington like figure—tall and lanky. But we then went with a stouter fellow, one that looks like he enjoys a few durries and a slab of beer. 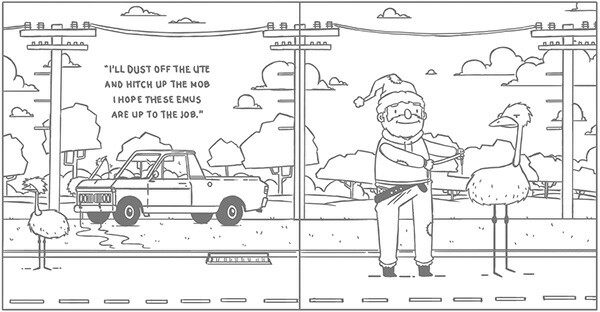 Here are a few sketches of some of the spreads for people who are interested in that sort of thing. You can see a bunch of stuff changed, such as Trev, as well as some details added and removed. I also liked me title treatment, but Scholastic's in-house designers had all that covered. 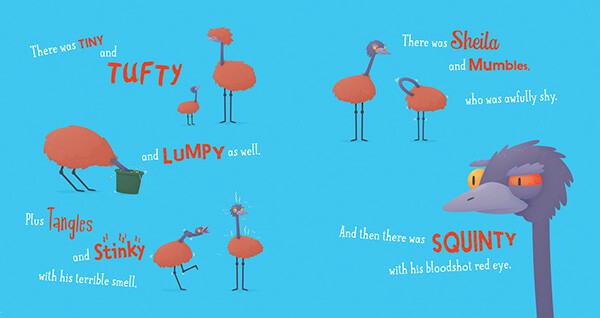 Below are a few of my favourite pages and spreads from the book. The text layout was done by Scholastic's in-house design team and I love it. I had a blast working on this book and I really hope to do more children's books in the future, especially with Scholastic, they were a joy to work with. You can buy the book here if you're overseas, but it should be available in most books shops and that across Australia. Merry Christmas!